In this second episode we will talk about all the thermal and chemical treatments which may be performed to guarantee a greater resistance in a padlock. The most exposed part of the padlock to attacks is, however, without doubt the shackle (or rod) and, for this reason, it should be made so as to offer a good resistance to cutting, pulling and striking. The material which best meets the need to defend against these types of brute force attacks is hardened and case-hardened steel. 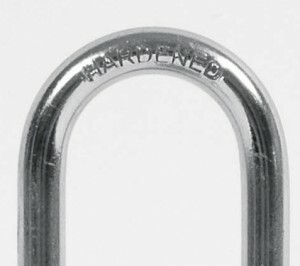 Unfortunately, it is not sufficient to have the wording “Hardened” on the shackle to have the guarantee that the shackle really is case hardened; in fact, many of the products imported from the Far East carry this wording, but they do not de facto have this feature. 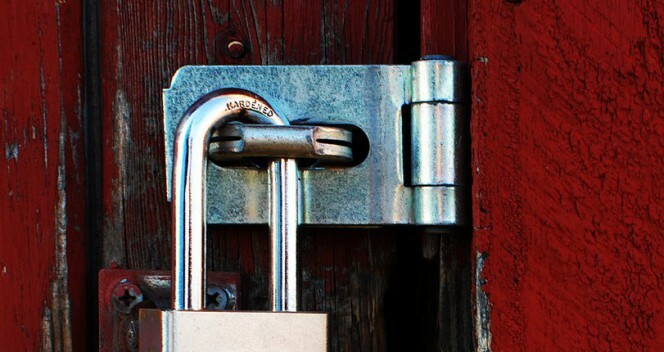 How do you check whether the padlock you are using really has a shackle or rod which is tempered and case-hardened? If the materials used have not been treated properly it just takes a couple of passes with a hacksaw to cut deeply into the surface of the shackle or rod, but if the steel is properly hardened the hacksaw will scrape along the surface, scratching it without cutting it. In effect, the hardening, which consists in heating the metal to high temperatures and then cooling it rapidly, gives it the mechanical strength, while case-hardening the surface, that is, its carbon enrichment, improves the resistance to cutting. In addition, a shackle or a rod which has been subjected to chemical treatment, such as copper plating, nickel plating and chrome plating, are capable of resisting corrosion for much longer than the many products on the market which only have a superficial nickel and/or chrome plating, without the previous steps of copper plating which serve to bond the subsequent nickel and chrome plating. How do you independently verify the quality of the chemical treatments to which the shackle of a padlock has been subjected? 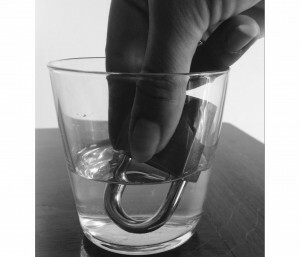 Simply pour into a glass (large enough to hold the padlock that you want to test) about an inch of coarse sea salt then pour in hot water and stir until the salt dissolves; then insert the padlock “head downwards” with the shackle inside the salt water, leaving it for several days (about one week). This will create a particularly corrosive environment which will test the surface chemical treatments. At the end of this time, after removing the padlock from the water and leaving it to dry without touching it, you will be able to see that only a product which underwent good quality chemical treatment will not have oxidation on the shackle; otherwise, there will be, without doubt, corrosion points. This entry was posted in Padlocks and tagged products, technology, tips on 27 September 2016 by calessandrini.